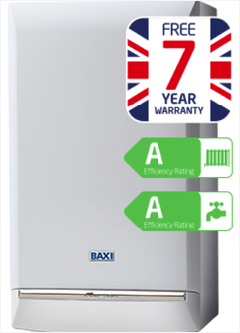 As intergas approved and baxi registered installers, we normally recommend the duo-tec or eco rf boilers for most combi boiler replacements. The baxi duo-tec/platinum range uses tried and tested components, is simple to use with a clear and easy to read display, and most importantly, has proven to be very reliable . For these reasons it has been a clear favourite with consumers and installers since it was first launched in 2004. Although relatively new to the uk, intergas boilers are proving to be very popular with the trade, and the knowledgeable and discerning consumer. For good reason too, sturdy and well made with the most reliable heat exchanger ever made, the innovative design with just 12 components and only 4 moving parts means there is less to go wrong, so less maintenance, lower service costs and greater reliability. Intergas boilers are also one of the most energy efficient in there class, saving you money on energy bills against an older boiler. 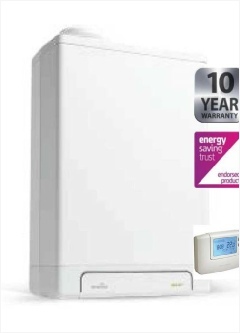 The eco rf boiler with the 10 year warranty, is arguably the best boiler in the uk at the moment. If your thinking about a new boiler installation or boiler replacement, then consider intergas for there simplicity and reliability which sets them apart from all other manufacturers. 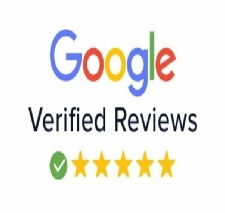 Although we are intergas and baxi registered installers, we can supply and install any make of boiler, we give you our recommendation, but the choice is always yours, let us know if you have a particular make of boiler in mind. 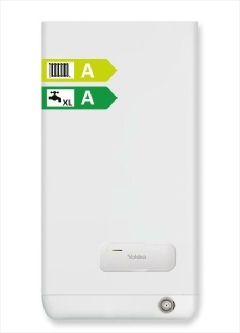 Above prices are typical supply and fit combi to combi prices, assuming new boiler is going on existing boiler site, gas pipework adequately sized, condensate connection nearby and clean system ie no dirt or sludge in pipework or radiators which would invalidate the terms and conditions of the manufacturers warranty. Boiler needs to be serviced annually to keep manufacturers warranty.